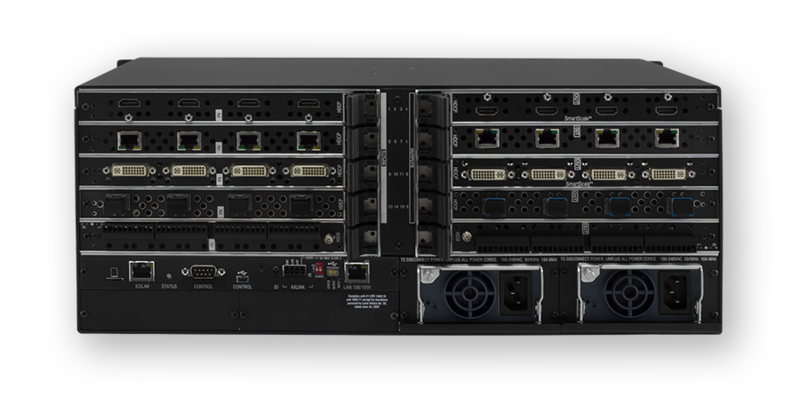 The new Enova DGX 1600 Enclosure (DGX1600-ENC) is a Digital Media Switcher that is ready to support 4K and Ultra High Definition (UHD) content. This robust solution includes a NetLinx® NX Integrated Controller, redundant power supplies and can be populated with Enova DGX video input and output boards in addition to optional audio-switching boards. There are four connections per video board, and each enclosure holds four video input boards and four video output boards for a maximum matrix of 16x16. The Enova DGX 1600 adds several new capabilities such as automatic setup of DXLink endpoints, single IP addressing for multiple endpoints, and a new web interface to greatly simplify installation and configuration. The new advanced Audio Switching Boards add audio breakaway capabilities and parametric EQ on each DGX output. 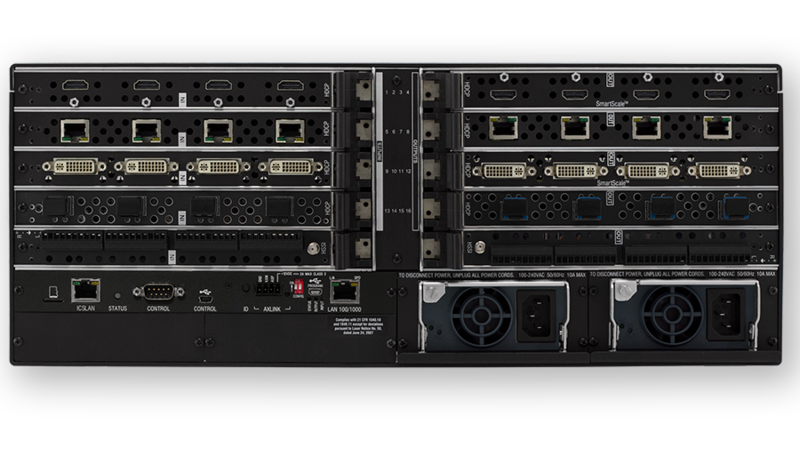 The Enova DGX 1600 is far beyond a modular media switcher with built-in controller – it functions as the centerpiece of a complete integrated solution that manages and distributes analog and digital audio and video including HDMI/HDCP, control and Ethernet. Easily integrate HDCP into system designs and enjoy hassle-free plug-and-play operation. No tools, no delays and no key constraints – it just works with AMX's exclusive InstaGate Pro® Technology. 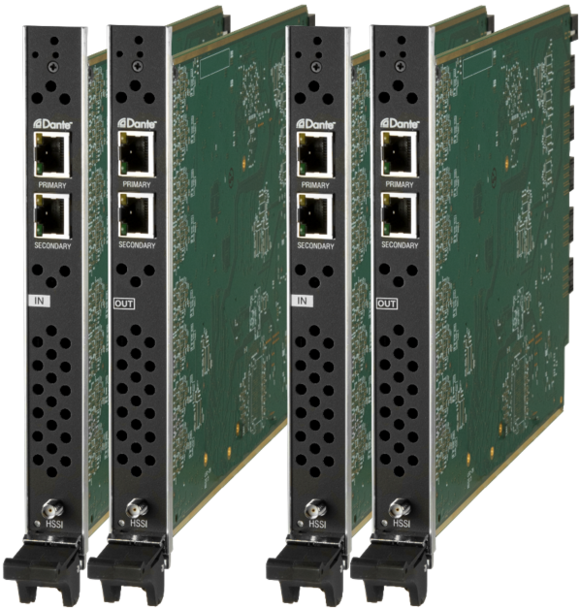 Built for today's and tomorrow's needs, a comprehensive set of Enova DGX boards can be used in conjunction with DXLink and DGX Transmitters and Receivers to provide an end-to-end distribution system over twisted pair cable or fiber. An integrated NetLinx NX Controller and embedded Ethernet switch enables management of the entire solution including source equipment and display devices located throughout the environment – all from a single point of control. 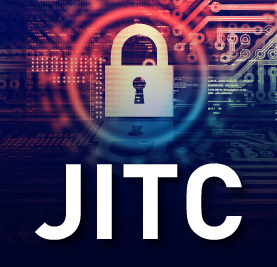 In addition to eliminating HDCP delays, InstaGate Pro allows traditionally key limited sources to be switched freely to all connected HDCP compliant displays – eliminating HDCP key limitations that plague large applications. Built-in SmartScale® Technology on every output provides video that is perfectly scaled for each connected display, eliminating the integration challenges that can occur when sources and displays have different supported resolutions – making it easy to specify, easy to install and easy to use. With the powerful combination of analog-to-digital signal conversion, video scaling and high speed digital switching the system delivers perfect video every time – regardless of signal type. As part of a complete distribution system, easily send analog or digital audio and video including HDMI with HDCP signals, plus control 10 Km over single mode fiber or 300 meters over multimode fiber; send all this plus power up to 100 meters over standard twisted pair cable to and from the Enova DGX using the DXLink Twisted Pair and Fiber Transmitters/Receivers. The Enova DGX is ideal for dramatically simplifying AV control and distribution in large spaces such as lecture halls, auditoriums, hotel ballrooms, casinos, museums and stadiums/arenas. The Enova DGX is ideally suited for multi-room or configurable room applications, where multiple collaboration spaces share a single DGX for control. Enova DGX fiber capabilities enable transport of audio, video and control up to 10 Km making it a perfect solution for tall buildings with multiple floors, large campuses with multiple buildings or large facilities such as a factory. 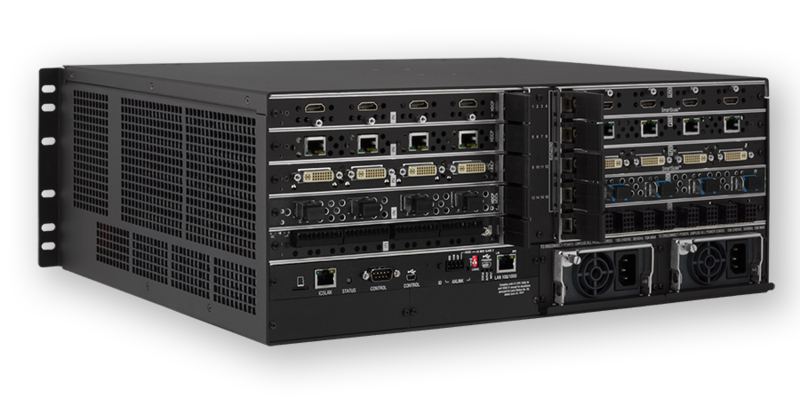 Enova DGX fiber solutions provide secure distribution of content for applications which data security is critical such as government, banking/finance or network operation centers. *Enclosures manufactured on or after June 1, 2016, those manufactured before that time have a per channel aggregate data rate of 12.8 Gbps. Maximum IO Range 16x16. Enclosure holds up to 4 input boards and 4 output boards; each board has 4 connections. Integrated Front Panel Control Integrated front control panel with key selections for each input/output, four control keys for system switches and attributes, and an LCD to display the menu screen.